Lexus for the first time introduced its ES in 1989 and since then they have presented versions offering different power figures and design elements. 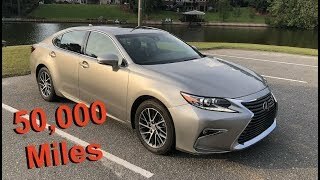 This time here in this article we are talking about the recent share from the house of company Lexus ES 350 2016. The model looks extremely gorgeous and as shared has sufficient power to make it a joyous ride. 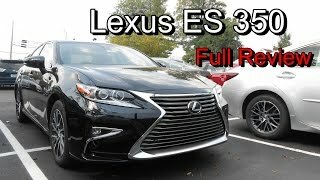 Let us have a look at the review of Lexus ES 350 2016 to know more about it. The interior of Lexus ES 350 2016 mirrors its exterior, this means luxurious and sophisticated. I won’t say it’s an entire work out in terms of designs but inclusion of certain elements like the Linear Dark Mocha Wood finishing and the use of Piano Black Wood by replacing the Piano Black from the predecessor model. Not only this has the gloss finish got the replacement of Bamboo with a matt. Adding further to the luxurious treat in the interior with light brown upholstery getting accompanied by the black dashboard and the dual tone door panels. Talking about the technological upgrades, the model is fitted with the all new Lexus Safety System plus and Lexus Enform Remote getting the glorious company of High-Speed Dynamic Radar Cruise Control, Pre Collision system and more. 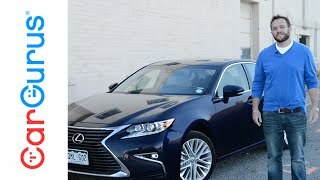 In all rounding up the interior details of Lexus ES 350 2016 I would say, it is luxurious and fully loaded with technology. Just like the interior, exterior of Lexus ES 350 2016 also received a few redesigning elements. Starting with the front fascia, you’ll notice a new spindle grille sitting boldly amidst the slimmer LED headlamps. Beneath the gorgeous set up is the redesigned bumper that has fog lamps on both its sides surrounded by chrome. Moving towards the rear fascia you’ll notice the massive 17” alloy wheels and the new paint color that adore the model. At the rear end the taillights get replaced by a new L-shaped clusters while the bumper has new rectangular exhaust outlets with revised chrome trim and a newly designed trunk lid spoiler. 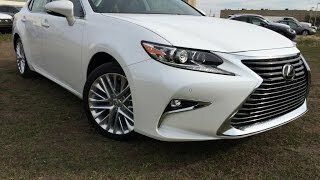 In all rounding up the entire exterior details of Lexus ES 350 2016 I would just say, carry your status symbol. Beneath the hood of Lexus ES 350 2016 is a 3.5 liter V6 engine generating total output of 268 hp and peak torque of 336 nm mated to six-speed automatic transmission. 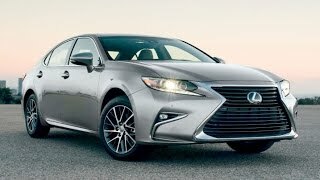 The performance figures of Lexus ES 350 2016 are still not shared but we expect a good figure that will satisfy the looks and other features.